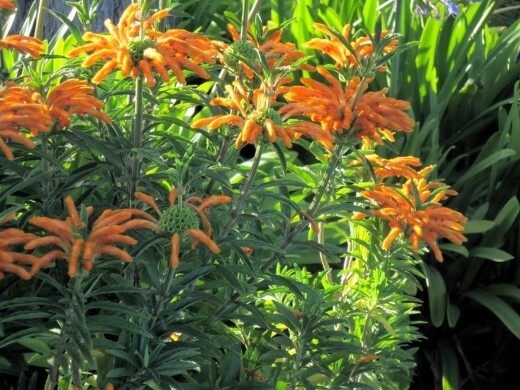 Leonotis leonurus otherwise known as lion’s tail or wild dagga. Wild dagga is part of the mint family and is recognised for it’s medicinal and psychoactive properties. Wild dagga is native in South Africa and is very common. Wild dagga is closely linked to cannabis because the effects are very similar except wild dagga is much more mild in comparison to cannabis. The main psychoactive ingredient in wild dagga is leonurine. As mentioned earlier, the effects are quite similar to those of cannabis but more mild. The effects include mild euphoria, visual changes, dizziness and sedation. There’s also negative effects such as nausea, lightheadedness and excessive sweating, so you’ll probably be stinking a bit. There is also some medicinal uses, much the same as cannabis. Wild dagga may help with tuberculosis, jaundice, muscle cramps, high blood pressure, diabetes, viral hepatitis, dysentery and diarrhoea. 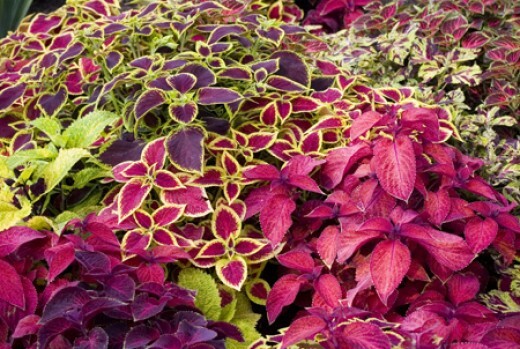 Plectranthus scutellarioides is commonly known as coleus, a plant used mostly for ornamental purposes. There are many people that doesn’t know coleus is psychoactive. Coleus is native to southeast Asia and Australia but can be found worldwide. Coleus has not yet been fully explored for it’s psychoactive properties so there’s not many information on it that’s backed up by scientific research. It has been noted though that coleus has mild relaxing effects as well as hallucinogenic properties. It is for this very reason that the Mazatec Indians of southern Mexico consumed it. Most trip reports claim that coleus, when consumed, produces slight visual distortions and also a dreamy state but nothing special. If you happen to fall asleep after you’ve consumed coleus, you may also have very vivid dreams. 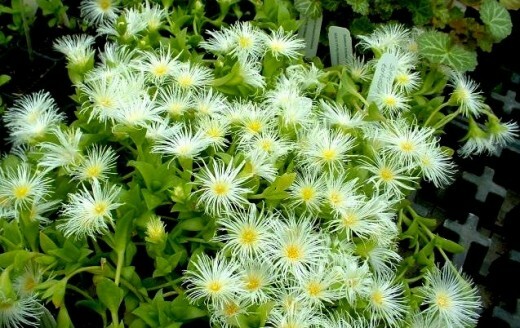 Sceletium tortusoum, also known as Kanna, is a succulent plant native to South Africa. It has been used by die indigenous people of South Africa before Jan van Riebeeck landed there and is still being used by the rural people to treat many health conditions. Kanna contains several indole alkaloids but the most important ones are mesembrine and mesembrenol. These alkaloids mimic the effects of antidepressants. 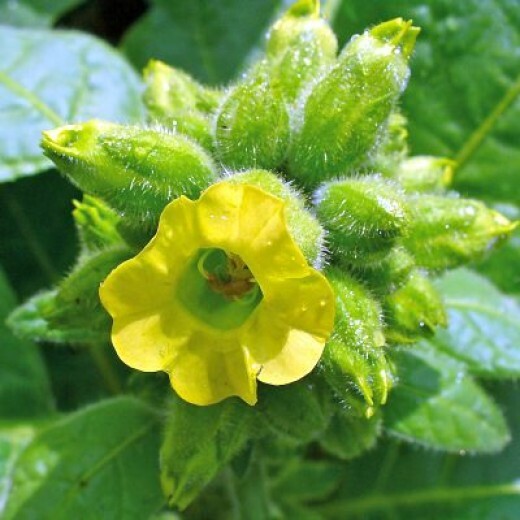 Researchers suggest that these alkaloids are better and safer than antidepressants. Kanna is not considered a hallucinogen since it doesn’t produce visual or auditory hallucinations. The main effects of kanna is mood elevation and relaxation, much the same as Kava except for the drunken feeling. Kanna also relieves depression and slows racing thoughts making it easier to fall asleep. Kanna may also have analgesic alkaloids but has yet to be fully documented. Nicotiana rustica, otherwise known as tobacco. What makes this strain of tobacco different from your normal everyday cigarettes or cigars is that this specific strain is the most potent strain of tobacco that we know of. It contains up to nine times more nicotine than your average cigarette or cigar. It doesn’t just have more nicotine but it also has more harmine which is a monoamine oxidase inhibitor or MAOI for short and which is psychoactive in it’s own way. It’s still used to this day for ritualistic purposes by shamans from South America due to the high concentration of nicotine and harmine. Only one “hit” of rustica is needed to get a headrush that lasts for about seven seconds and yes, this also counts for people thats been smoking for years. If you manage to look past the nausea and smoke enough(less tobacco than what a normal cigarette holds), you get to pass out and have a very vivid dream. Areca catechu is the name of a palm tree and betel nut is the name given to it’s seeds. The seed of the tree is where the psychoactive ingredients are. The trees grow in the tropical Pacific, Asia and Africa but no one is quite sure where it originated from. 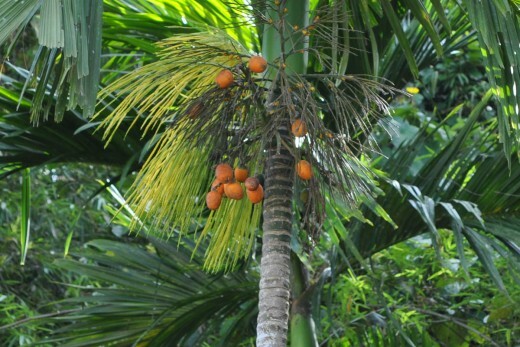 The majority of the Betel palms are grown for betel nut. Scientific research suggests that the use of betel nut dates back 7500-9000 years ago. If the dating is correct, there’s a good chance it may be one of the earliest psychoactive plants used by humans. Betel nut, as mentioned earlier, is a psychoactive seed of the Betel palm and has been used for only one reason, as a narcotic. Betel nuts are usually chewed but it can be made into a powder and held in the mouth untill all the ingredients has been absorbed. The active psychoactive ingredients are arecaine and arecoline. The effects of betel nut are stimulating and can be compared to a mild amphetamine dose. Betel nuts also suppress hunger and thirst. You can actually overdose on betel nuts and symptoms usually include convulsions, vomiting, diarrhea and dizziness. That concludes my top 5 lesser known psychoactive plants. Maybe you may have heard about some of them before or maybe you never knew they existed. You can answer the poll below to check off how many you already knew about.